Cologne - The wait for a goal in 2015 goes on for VfB Stuttgart, but Borussia Dortmund can celebrate their biggest win of the season and Zlatko Junuzovic continues to cement his reputation as one of the German top flight's deadliest set-piece takers. 5 - FC Schalke 04 overcame Borussia Mönchengladbach 1-0 to make it five matches unbeaten (three wins, two draws). The last time they managed that was ten months ago under former coach Jens Keller. The Royal Blues are also in the top three for the first time in the current campaign. 250 - Tranquillo Barnetta scored his 29th goal of his Bundesliga career in his 250th top-flight appearance. The former Bayer 04 Leverkusen, Eintracht Frankfurt and Hannover 96 midfielder now has three goals this season, as many as he managed in his last four league campaigns. 300 - Wolfsburg’s win against Hoffenheim came in the club’s 300th Bundesliga game. 8 - Hoffenheim went the first nine games of the season unbeaten but have now lost eight of their last eleven, more than any other side in that time. 11 - Pierre-Emerick Aubameyeng's brace against Freiburg once again underlined his importance to Dortmund: the Gabonese international has now been involved in 11 goals this term (scored seven, assisted four), the most of any BVB player by a comfortable margin. 13.9 - Zoltan Stieber of Hamburg set the record for the longest distance covered in any game this season, covering 13.9 km against Hannover. 900 - In their 900th Bundesliga game, Hannover suffered their 391st defeat, nine of which have come this season. 9 - Bremen are also top of the form table in 2015, having won three out of three. Viktor Skripnik's charges are the only side not to have dropped a point in the calendar year so far. 1 - FC Augsburg's 2-2 draw against Eintracht Frankfurt ensured that the Fuggerstädter have drawn a league game for the first time this season, having won 11 games and drawn eight. 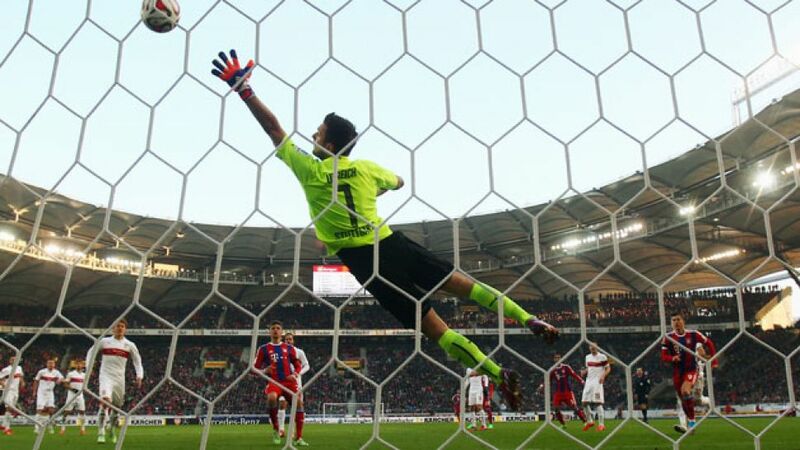 It was also Augsburg's first stalemate in 23 games since a 0-0 draw against Hertha Berlin in April 2014. 3 - Frankfurt have now come back from two goals down to take at least a point from a game three times this term, having also recovered against Mainz (2-2 on Matchday 5) and Hertha (4-4 on Matchday 16). 21 - Hertha's Jens Hegeler stepped up to take his first-ever Bundesliga penalty against Mainz 05, converting in a 2-1 win for his first league goal in 21 months. 863 - Of the 863 different fixtures played in the Bundesliga’s history, Köln vs. Paderborn is only the third to still be goalless. Stuttgart vs. Paderborn is another (the two clubs meet again on Matchday 34), while Stuttgart vs. VfB Leipzig also ended in two goalless draws in the 1993/94 season.